The X-Series from 3, will give 3 Group customers the ability to use the latest mobile broadband handsets with the Slingbox to watch anything they are able to watch on their own TV. The SlingPlayer Mobile service will be exclusive to 3 Group customers who purchase both an X-Series handset and a Slingbox. 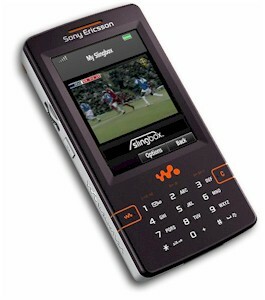 SlingPlayer Mobile software will be pre-installed on two new handsets, the Nokia N73 and the Sony Ericsson W950i including support for terrestrial TV, Freeview, cable, and satellite TV. The X-Series from 3 will be available in the UK from the 1st December 2006 and in 3’s other markets around the world in early 2007.